Electrolysis –the process of using electricity to separate water molecules into hydrogen and oxygen atoms– has been around for ages. It’s one of the main ways we create hydrogen gas, which is used in everything from welding to making rocket fuel. The only problem, however, is that the process generally requires lots of energy, and doesn’t always produce pure hydrogen or oxygen molecules. But thankfully that’s starting to change. Recently, a group of scientists from Stanford University have figured out a way to split a water molecule and extract just the hydrogen or just the oxygen — using very little power and extremely cheap materials. Even better than that, the device they developed actually uses a single catalyst to produce clean-burning hydrogen 24 hours a day, 7 days a week. All of that clean-burning hydrogen could potentially be used as hydrogen fuel for transportation. “We have developed a low-voltage, single-catalyst water splitter that continuously generates hydrogen and oxygen for more than 200 hours, an exciting world-record performance,” said Yi Cui, associate professor of materials science and engineering at Stanford University. So why is this a big deal? Well, even though hydrogen acts as a cleaner, more environmentally friendly alternative to traditional gasoline, it’s still not completely clean. As it turns out, scientists have been trying to figure out a cost-effective way to get just the pure hydrogen out of a water molecule for some time now, but have largely come up short. Normally, water-splitting devices have two electrodes that are made up of expensive materials like platinum and iridium — two rare-Earth metals that are extremely expensive. 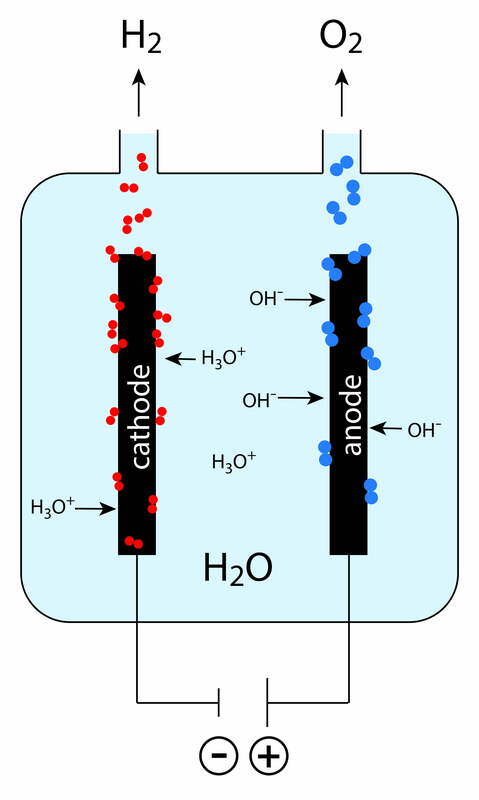 These electrodes are submerged in water-based electrolytes, and when the water molecule gets zapped with some low-voltage current, the hydrogen bubbles cling to one electrode and the oxygen bubbles cling to the other. Just last year, Stanford’s Hongjie Dai used nickel and iron instead more costly metals, and made the process even cheaper by using a regular 1.5 V battery. This was a step in the right direction, but this year the research was taken to an even more efficient level. “Our water splitter is unique because we only use one catalyst, nickel-iron oxide, for both electrodes,” said Stanford graduate student Haotian Wang, who led the study. This technique allows for constant water-splitting action as long as you keep the power source steady. The team hopes this research will be make hydrogen power a more viable alternative to fossil fuels, coal, and all the other dirty energy sources civilization currently relies on.